On a very windy day in early March Dave Billingsley and I expected the birds to be less active. To our surprise the area was full of movement. It appears the wind-churned waters may have driven the fish to sheltered areas, one of which was right by the shrimp boat docks. Some pelicans were feeding close to the docks which afforded an opportunity for the action shots you see here. 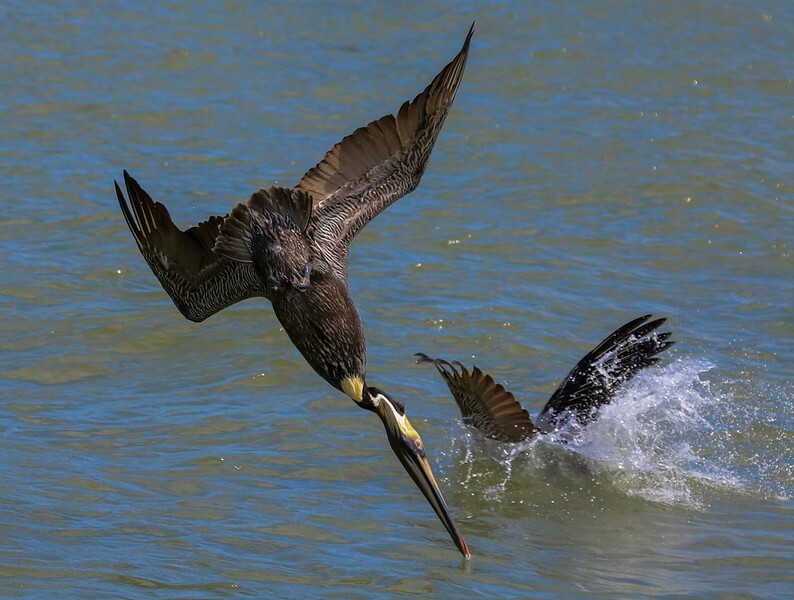 Distances to the diving Pelicans were as little as 10 yards, but averaged 25-30 yards.